CAT is pleased to offer incoming students an opportunity to live on one of the most desirable streets in downtown Kelowna. Several homes are owned on Bertram street in downtown Kelowna and each unit for rent is private with a locking door, desk, bed and other amenities. All applicants to be pre-screened, mention you are CAT students upon inquiring. 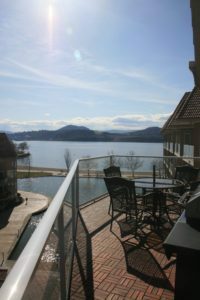 Entire apartment for rent in downtown Kelowna: Discovery Bay Condos. Take advantage of a beautiful penthouse condo with a fantastic view of Okanagan Lake. 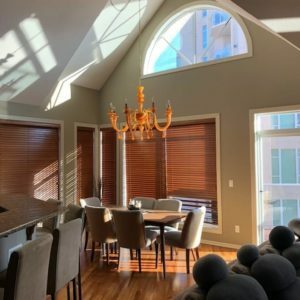 This four bedroom has stunningly high ceilings and comes with three full bathrooms! The master bedroom has a steam shower and walk in closet and there are two large balconies with views of the lake. This space would be perfect for couples or roommates who want to live comfortably during the school year. The location is hard to beat as it’s in walking distance to shops, entertainment and restaurants. You also have access to the hot tub, an indoor / outdoor pool and a tennis court from the Dolphins next door. 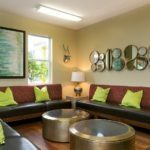 The rent will be $4950 a month which includes internet and utilities – rent is also negotiable based on the number of people in the unit. Available from September 1st to April 30th. Get some friends together and rent out this awesome space! 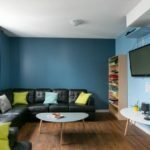 I am a current student of CAT, looking for a roommate to share a 2 bedroom condo with. 325 Mills Rd., near Costco. Easy bus to CAT or UBCO. Includes large furnished (queen bed) bedroom with walk-in closet. Wi-fi, utilities and free parking included. Large kitchen, in-suite laundry and cozy living room. $750 per month. Live in a social environment in downtown Kelowna! Just a short bus or car ride from the school, you can live affordably in a vibrant environment. Samesun Kelowna has a variety of accommodation options from dorms to private rooms. 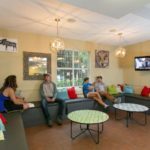 We have plenty of hang out space, room to study, a large patio and year ‘round hot tub! Linens, daily breakfast and regular housekeeping are included. Our social environment encourages interaction, and our hostel-sponsored activities give plenty of opportunity to meet and make new friends from all over the world. Our location puts you just a block from the lake and 2 blocks from the heart of downtown. Contact us for special discounted student pricing through May. Weekly and monthly rentals available.